Plan International Finland says "sorry some aspects of campaign" with pregnant 12 year-old girl "caused offence"
The NGO said it was sorry some aspects of a high-profile campaign on child pregnancy that ran in August 2017 "were offensive". 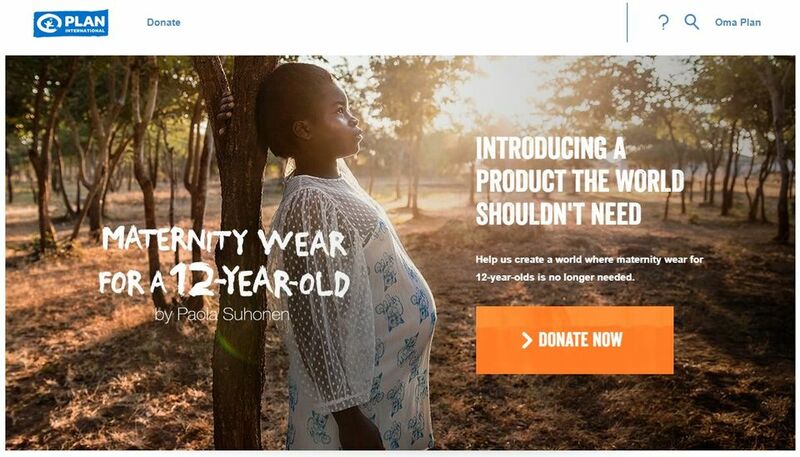 Plan International Finland and its parent organisation, Plan International Global have said that the NGO is "sorry some aspects of its campaign have caused offence" following a high-profile ad campaign that featured a pregnant 12 year-old Zambian girl posing in a line of maternity clothing created by leading Finnish designer Paola Suhonen. Although the campaign went on to win accolades including awards for creative design, it raised the ire of activist and researcher Dr. Faith Mkwesha of the NGO Sahwira International. Back in April, Mkwesha told Yle News that she was shocked by the campaign and condemned Plan International Finland for "eroticising and sexualising" the child model. Mkwesha subsequently met with representatives of Plan Finland International over the campaign. At the time the organisation acknowledged her concerns but did not issue an apology for the ads. Following a meeting on Wednesday involving Mkwesha, two colleagues from Sahwira and representatives of both Plan International Finland and Plan International Global, the organisation said that it was sorry for causing offence. "We do understand that parts of the campaign have been offensive to some. When we run campaigns, we always listen to feedback and take it seriously," Plan International Finland CEO Ossi Heinänen told Yle News on Friday. Heinänen added that the organisation aims to ensure that it can use its funding to create impactful campaigns. "Sometimes if you want to raise awareness on sensitive societal issues, then you have to create campaigns people will notice." "We knew this campaign would cause people to react differently but we carefully considered who to feature in it. In this case, the Plan International Zambia country office was crucial because they worked with us and approved the campaign. We also had permission from the child's parents," Heinänen added. He noted that in spite of the backlash from some quarters, the campaign inspired a positive response. “When the campaign was running, the feedback was hugely positive and we shouldn’t underestimate the ability of people to understand what they see," he remarked. The NGO also said in a statement on its website that it would not accept any future awards for the ads, and that it would incorporate feedback on the campaign into its work in the future. Reacting what she perceived as an apology, Mkwesha told Yle News on Thursday that she was "relieved and happy" with the outcome. "This is good for black African girls and children who have been represented in this way by Finnish organisations for the purpose of raising money," Mkwesha said on Thursday. She noted that Plan Finland also pledged to work with partners to discuss how to develop future campaigns. Mkwesha said that her organisation, Sahwira International, will also provide its expertise to ensure that Plan Finland and other NGOs have broad representation. In a separate statement issued late Wednesday, she said that she is optimistic that in the future, organisations "will be sensitive to the issue of racism, colonial history, racialized power relations; and avoid negative representations that perpetuate racism, prejudices and stereotypes." She described the outcome as a major accomplishment for her fledgling NGO. "We are a small organisation so this is a big win for us. We have no money, no resources and no permanent staff, we are staffed with volunteers. This shows that we are needed in Finland and can contribute," she concluded. 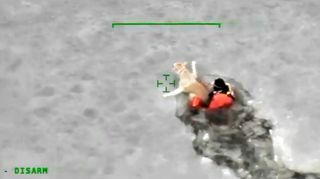 Plan International Finland has since removed video and photographic material related to the campaign from its website. Edit: Story headline and text updated on 22.06 at 1.42 pm to reflect Plan Finland's statement that it is "sorry that parts of the campaign caused offence" and is not apologising for the entire campaign as previously reported. Comments from Plan International Finland CEO Ossi Heinänen have also been included. Edit: 22.06 at 2.25pm quote by Ossi Heinänen updated to reflect that the campaign was offensive to some, rather than "interpreted as offensive". Story also updated to reflect that Dr. Faith Mkwesha's comments to Yle News were made on Thursday, 21 June.